Broad Street proudly presents an excerpt from Roger Naylor’s latest book, in which the author digs into the thrilling tale of Ellsworth and Emery Kolb. In the early 1900s, the pioneering brothers captured the romance of the United States’ greatest natural wonder on film — while founding a tourism stronghold and a model of eco-tourism that endures till this day. Click here to read the entire article, or dip first into the excerpt below. 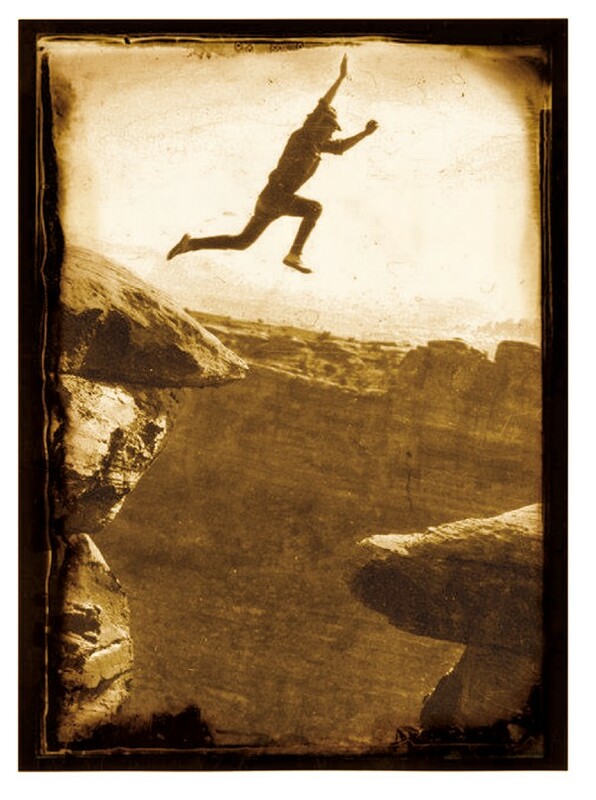 Ellsworth and Emery Kolb were rock-climbing, ledge-hopping, mule-chasing, river-running canyoneers. They were rash, nervy, and utterly fearless. They were daredevil adventurers drawn to the earth’s most glorious wound. When they arrived at the edge of the Grand Canyon in the early 1900s, the boys knew they were home. They were equal parts artist and athlete, a dizzying combination that pushed them toward increasingly creative ways to risk their necks. The Kolbs dangled from ropes, clung to sheer cliff walls by fingertips, climbed inaccessible summits, ran impassable whitewater rapids, braved the elements, and ventured into unknown wilderness—all for the sake of a photo. Well, a photo and a thrill. Sometimes it was hard to tell which was more important. Their first darkroom was a blanket hung over a prospector’s hole. Water was obtained from a muddy cow tank several miles distant and later from the springs at Indian Garden, which involved a nine-mile grueling sprint deep into, and then out of, the Canyon depths. And they did it on their own terms. To call them innovators is a gross understatement. They carved out a way of life that didn’t exist, essentially creating tourism photography on the cusp of the twentieth century. 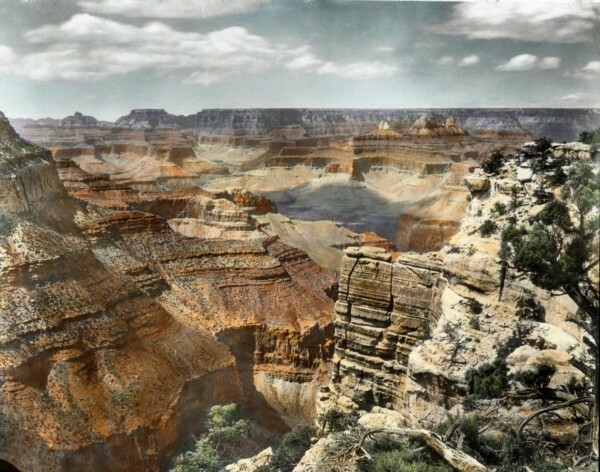 They brought hand-tinted lantern slides, like the one above, on a traveling lecture series early in their career, to draw attention to the Canyon and their work. 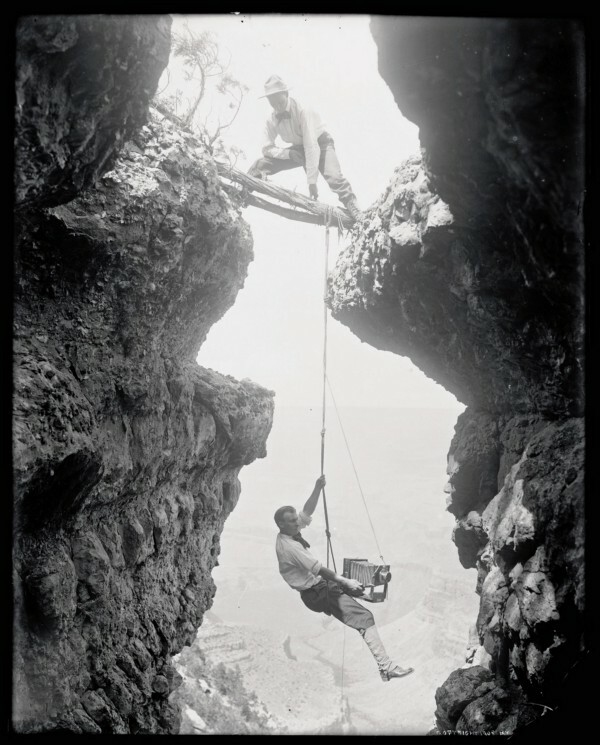 The brothers also set up a tent at the head of the Bright Angel Trail and began photographing tourists as they clip-clopped into the Canyon on muleback (see above, a Kolb souvenir picture in the author’s collection). 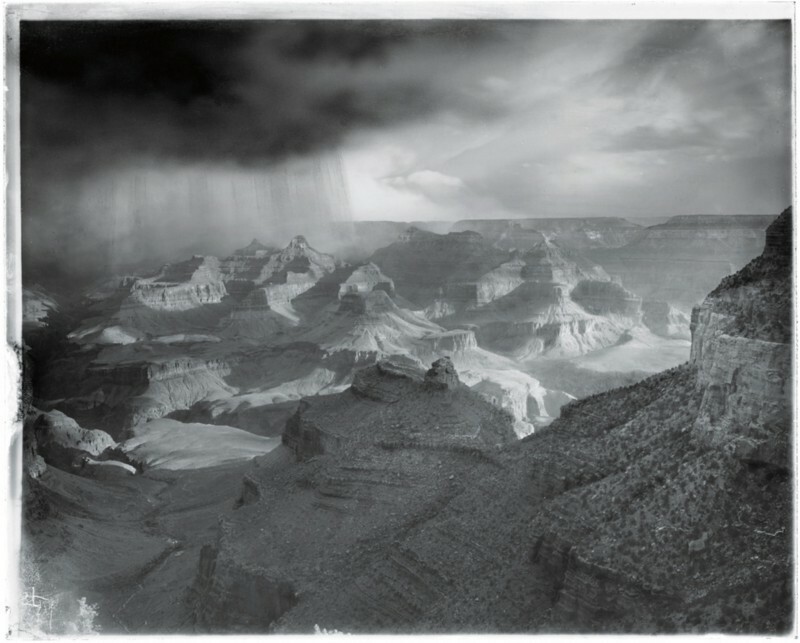 These pictures of the early domestication of the Canyon combine with the more artistic shots to form a record of the early days of eco-tourism. Read the full article and see more photographs here. 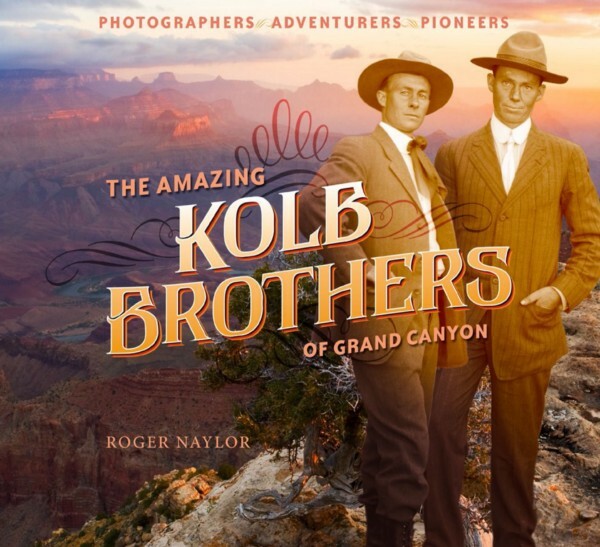 Roger Naylor is a travel writer specializing in Arizona. His work has appeared in USA Today, Go Escape, Budget Travel, Western Art & Architecture, Route 66 Magazine, Elan, Sun Runner,and many more venues. He is also the author of the books Arizona Kicks on Route 66, Death Valley: Hottest Place on Earth, and Boots & Burgers: An Arizona Handbook for Hungry Hikers. 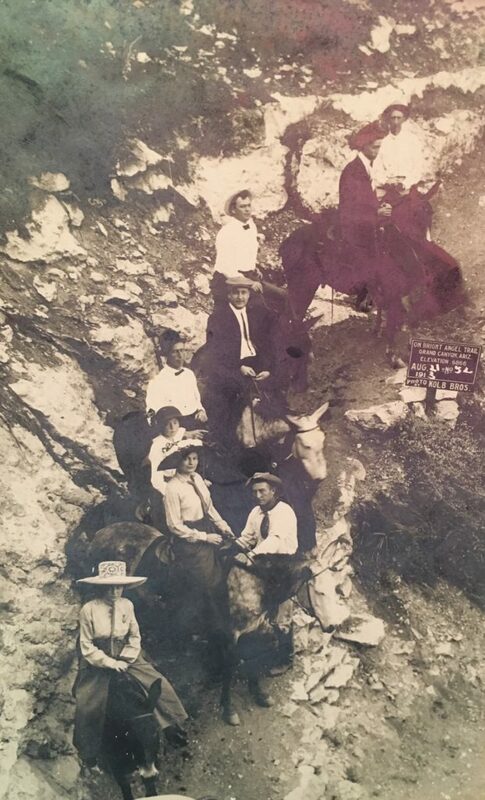 Photos courtesy of Northern Arizona University’s Cline Library, Kolb Collection, except book cover and tourists on mules. Previous postTruth Teller Spotlight: Lee Strasburger, Artist. Next postTruth Teller Spotlight: Caitlin Hamilton Summie.